Five years ago, on the first Friday of April, I took myself to the hospital just like I did the first Friday of every month. It was my monthly infusion day when I was hooked up to an IV to kill off parts of my immune system and blood cell stimulators. My friends helped me make light of it by calling it my “reboot” day. I really did not want to do it, but I had no other options available. My lupus meds were not stopping the progression of my illness, regardless of how many times we increased them. Almost every organ had been attacked, leaving internal scarring. Prior to my infusion one month earlier (March 2013), my daily neuropathy and seizure episodes had been increasing in intensity and frequency, causing me to face the reality that soon I wouldn’t be able to work or drive. I already had a titanium plate connected to a whittled rib bone holding together one side of my jaw, and the other side was beginning to disintegrate as well. I was informed that I would eventually need to have another rib bone extracted and a matching plate installed, which would come with numerous functional complications. Doctors said the only way to avoid or postpone the next surgery would be to “control the Lupus.” Then they walked out of the room as I cried, knowing no one knew how to do that. I went to my infusion that April morning in 2013 hoping for that elusive “control.” After my infusion the previous month, I had jumped into a whole-food, plant-based (WFPB) nutrition plan out of desperation. People around me noticed a difference within the first several days. My seizures and neuropathy had lessened, allowing my body to finally achieve some rest. I was able to slightly decrease the dosages of some other meds over the next few weeks. However, the April infusion did not go well and caused a setback. Oddly enough, it was not a Lupus flare, but rather a healing body reeling in agony in response to a chemical attack against the first healthy cells it had made in years. So it became my last infusion. Over the next couple of years, I dug deeper into the WFPB nutritional approach to recovery. I met other patients who had overcome many illnesses and addictions. 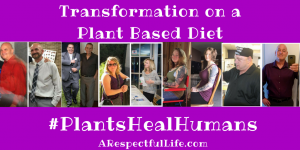 I also met doctors who had helped their patients heal with this way of eating and who had even recovered from their own debilitating autoimmune diseases simply by changing what they put on their plates. People who were once practically crippled were now running marathons. Although they could not inspire me to run (no one can), they taught me valuable lessons about nutrition, hope, perseverance, and beautiful/miraculous victories. Last year for my birthday (four and a half years into this journey), I finally weaned off Lyrica under the guidance of my rheumatologist. The medication had been initially prescribed for the neuropathy and then continually increased for that symptom as well as for seizures that later developed. Since stopping Lyrica, I have not experienced either symptom. 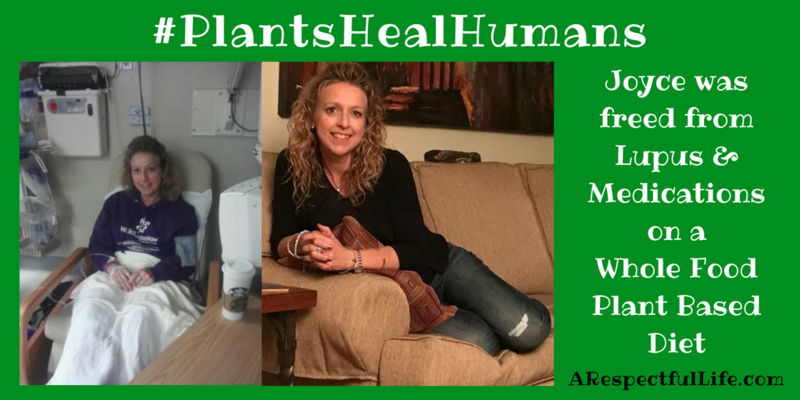 Simple and clean plant-based nutrition has helped heal decades of old wounds. I wondered how much time would have to pass for me to experience my next victory. However, this past month, after recovering from two injuries and an annoying cold and cough, life handed me a glorious miracle: I was able to wean off the last small amounts of Prednisone and Plaquenil. 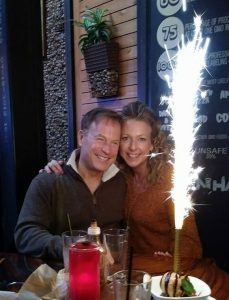 Over the past few weeks, I have been secretly celebrating with my family and my significant other of almost nine years, Scott Healy (pictured). It’s only fitting that his name has the word “heal” in it since he was the one who introduced me to WFPB nutrition. 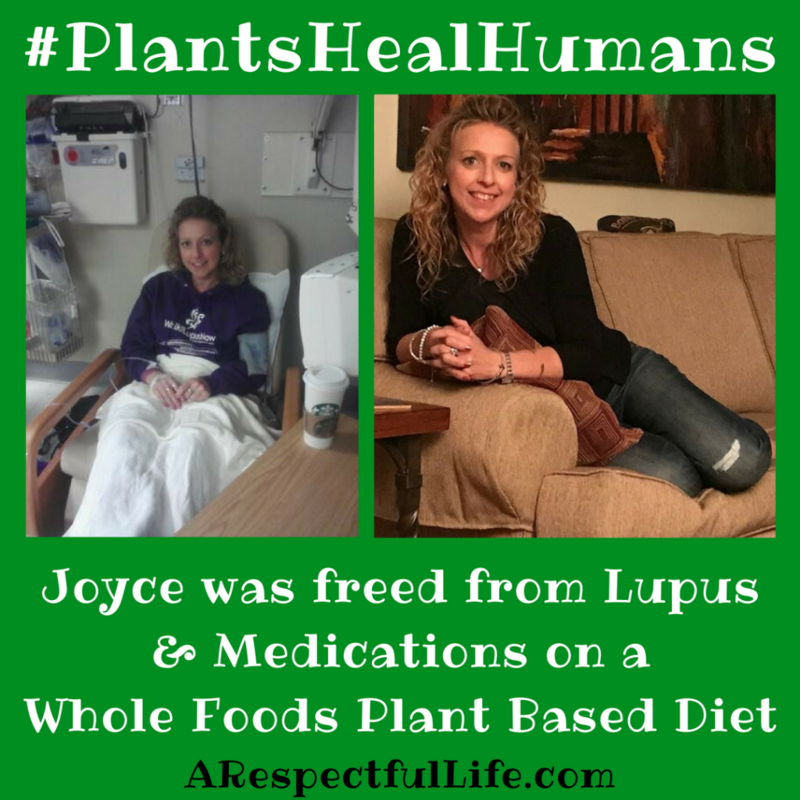 For the first time in two decades, I am 100 percent free of Lupus medication! On the five-year anniversary of my last infusion (and any hospital treatment or admission), I can celebrate with everyone the magnificent freedom from meds and an agonizing chronic illness. I am whole again. They say it’s not about the destination, but rather the journey. I’m going to be honest—the destination is pretty spectacular too!